1. Start with creating your lemon twist. See instructions above or watch this video tutorial if you're not sure how to make a lemon twist garnish. 2. Once you're make your lemon twist, take the leftover flesh of the lemon and use that to rub onto the rim of your martini glass in order to make it sticky. 4. Next, add vodka, limoncello, and cranberry juice to a cocktail shaker with ice and shake. If you prefer a sweeter cosmo, add a splash of grenadine too. Strain into your sugar-rimmed glass and garnish by floating a fresh (or frozen) cranberries in the drink and then rest the lemon twist on the edge of your glass. This week’s cocktail, the Cranberry Limoncello Cosmo, is inspired by a former co-workers and friend of mine, who happens to be a former long-term news anchor, now PR professional. She loves her cosmos. And she’s 100% the person you’d expect to see sipping a cosmo—dressed to the nines, relaxing after a long week of work, in the most posh bar in town. She works hard for her money, is self-made and proud of it. She’s sweet as pie but will likely drop the f-bomb during a conversation in a moment of passion. You can’t not love her. Whenever I think of a cosmopolitan cocktail, I think of a working woman who’s be out there grinding away, making money moves for her families or maybe just for a better life for herself. I feel like the cosmo embodies many of the qualities of a strong woman. What makes a cosmo so special? Cosmos are known for their luminescent color, are usually garnished with a flair, and come in a hour-glass shaped vessel that needs to be handled very delicately so it doesn’t spill! My favorite cosmos have a sugar rim because that first sip can pack a punch! If you’re not a big cosmo drinker, you might not realize that they are mostly alcohol so you do need to be a little careful that you drink them slowly or things could get ugly quick, ha! If you’re curious to know more about the cosmo and it’s origins, you can check out the full history of the cosmopolitan cocktail here. There are a few things you’re going to need in order to get the full experience of this iconic cocktail at home. First, you’re going to want a proper martini glass. Since half the fun of this cocktail is how it looks, you definitely want to be sure you’re sipping it out of the right glassware. If you need a set of martini glass, you can grab some on Amazon or you may even be able to score a cheap set at your local grocery or dollar store like I did! Second thing is the garnish. The lemon twist, in this case. It’s actually super easy to make! 1. Cut a round slice of lemon. 2. Then cut the rind in one spot. 3. Cut away the flesh of the lemon, leaving just the rind. 4. Twist the rind tightly into a curly-Q shape. It will spring out just a bit but otherwise will hold its shape and will sit nicely on the side of your cosmo glass! If watching someone actually do this helps you, check out this how-to video. Last thing you may want is a cocktail shaker. If you don’t have one, you can use a mason jar with a lid or you can get a shaker set on Amazon which comes with a shot glass to measure the ingredients. You can also use a standard 2 ounce shot glass to measure your liquor and juice which is what I do since the cocktail shaker I own didn’t come with any extras. Why is this the best limoncello cranberry cosmo? Final thing I want to just mention is the reason I’m calling this the “best” limoncello cranberry cosmo. 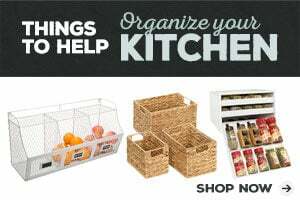 It is because I’ve tried several recipes and they are surprisingly BAD. They were too tart, too saturated with alcohol, didn’t make enough to fill the glass, etc. So this recipe has a nice balance between tart and sweet, isn’t overly saturated with alcohol (although it is strong so sip slowly! ), and the proportions fit nicely inside a standard sized, 6 ounce martini glass. 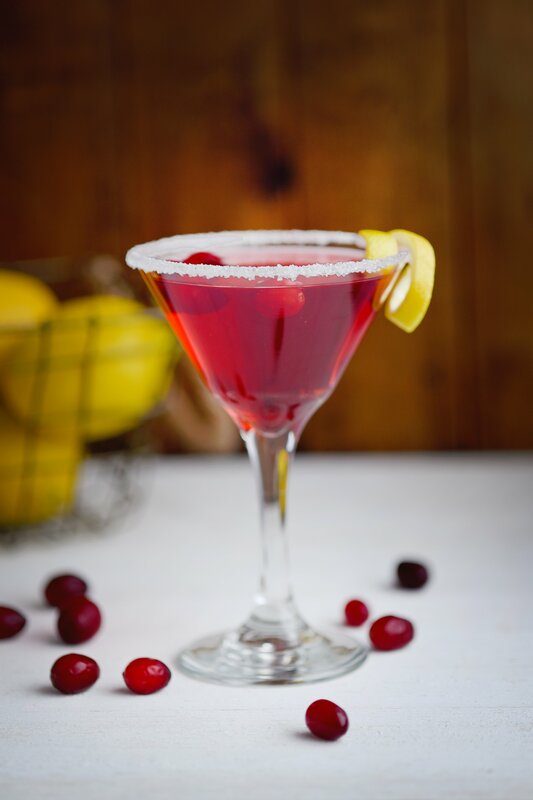 This limoncello cranberry cosmo was featured on Inspire Me Monday!